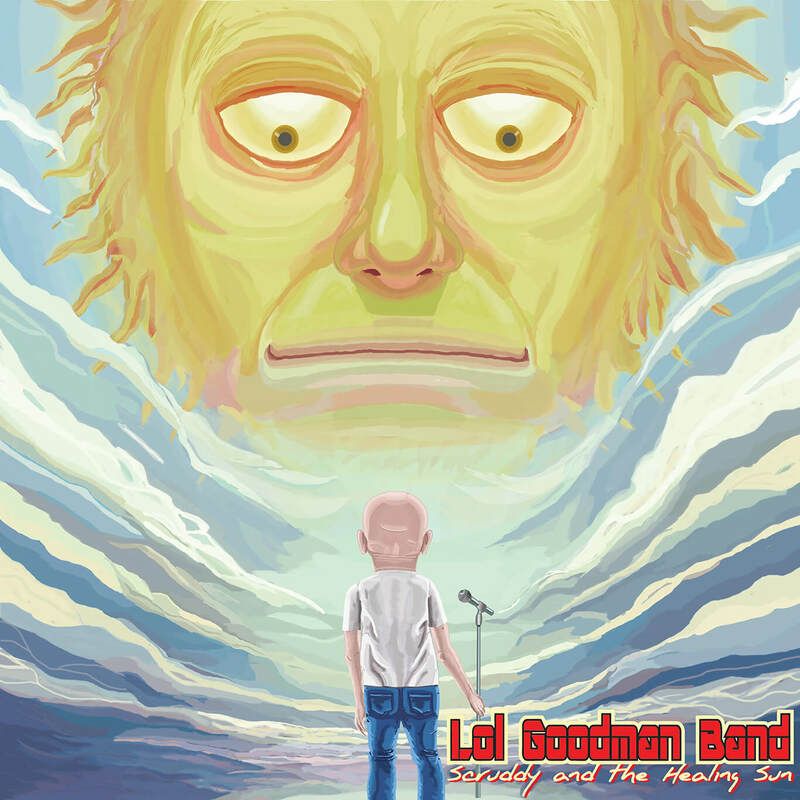 “Scruddy and the Healin Sun” is the 4th studio album set to be released by Lol Goodman Band. After being a little quiet during 2018, the Lol Goodman Band were actually working away writing and recording their much anticipated new 4th Album. “Scruddy and the Healing Sun” is set to be released in the Spring of 2019 and can almost be described as a concept album, as the songs resonate through Lol’s period of depression and back into a period of energy and enjoyment. The lyrics are often spellbinding, highly emotive and very personal. Lol doesn’t hold back and opens up his heart and feelings for the world to listen to. Hence the publication of the track lyrics on the Album Sleeve. All 15 Tracks on the Album have been written by Lol Goodman and produced by the Band with help from esteemed Sound Engineer Stuart Jones at Woodworm Studios. This album showcases the new line up, which includes Paul Nicholls on Piano, Keyboards and Hammond Organ; with Matt Denny on Drums and Vocals, working alongside Lol and the Doc on Bass. The album also has some brilliant powerful guest Vocals delivered by Buffalo Music Hall of Fame inducted Jessie Galante http://www.jessiegalante.com/ recorded at California Road Studios, New York. With a reputation for being one of the finest Blues bands on the live circuit, the new Album represents another step forward for the Band, giving them even more fresh material to deliver live to their audiences. All the tracks on the Album are different and do cross into other genres a little. So, whilst not a 100% blues album, it doesn’t lose that established rock n blues feel of the Band. There’s a good balance of the Band’s usual Anglo – Southern US style rock blues feel aka Allman Bros., and tracks with a strong acoustic feel in the mix. As always with Lol’s song writing, there are strong hooks with memorable melody’s and fresh lyrics. “If I Agreed with you we’d both be Wrong” has Lol duetting with Jessie, and even has a brilliant horn section. Whilst both “No One Listens” a slow powerful track and the 9-minute epic, “Grind Me Down”, which deserves a full listening to, both feature amazing backing vocals from Jessie.